The Arri Alexa XT is an Alexa camera with an internal XR Module which can receive a removable Codex drive. 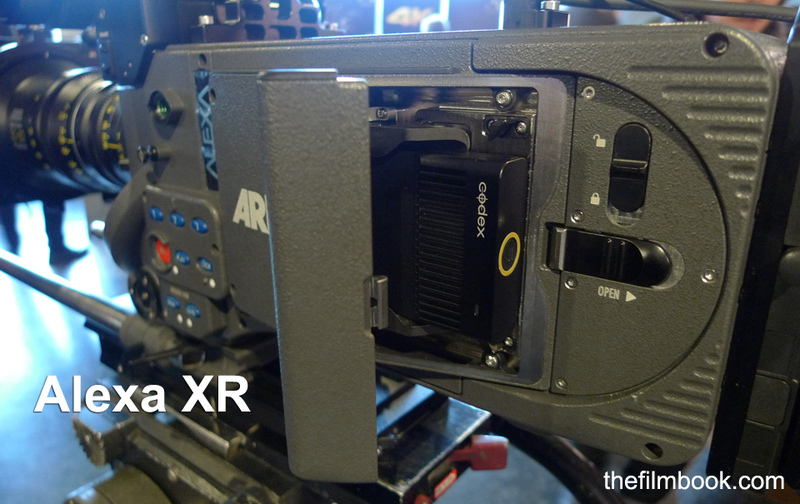 For those wanting to record ArriRaw, this is a smaller, lighter and simpler configuration than shooting with an external Codex drive. 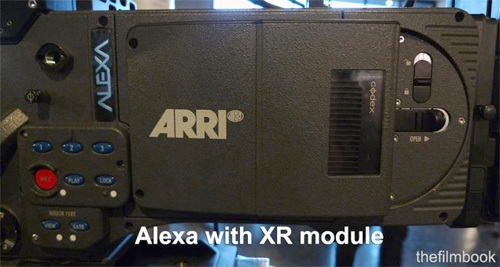 The XR Module allows recording of ArriRaw up to 120 fps. 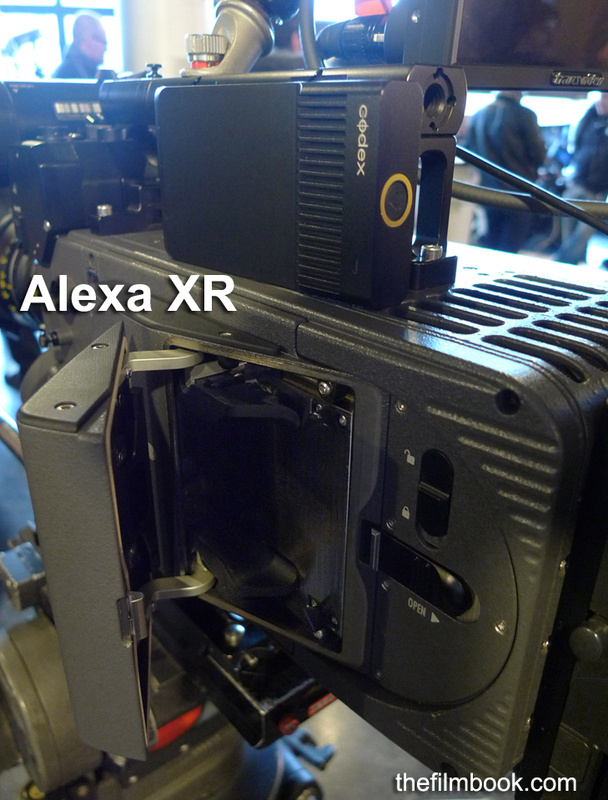 Codex 512 GB XR “capture drive” atop the Alexa XT, with the XR Module door open below ready to receive it. 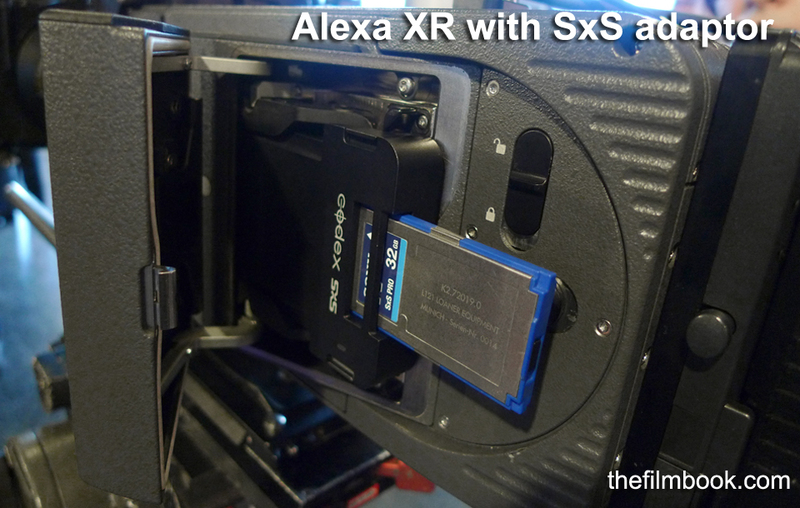 Codex 512 GB drive inserted into the Alexa XT. You can also record on an SxS card, using the Codex SxS adaptor.